Watching our children dream big is amazing. So is helping them step bravely into their wide open futures. Even small, whispered dreams need to be honoured. These may become stepping stones to discovering passions, callings and careers one day. 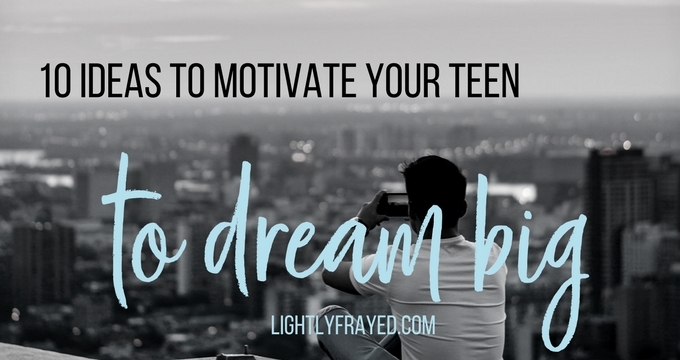 This post offers tips on planting seeds for dreams for teens and those who will be teenagers in a heartbeat. (I’m looking at you my six-year-old). 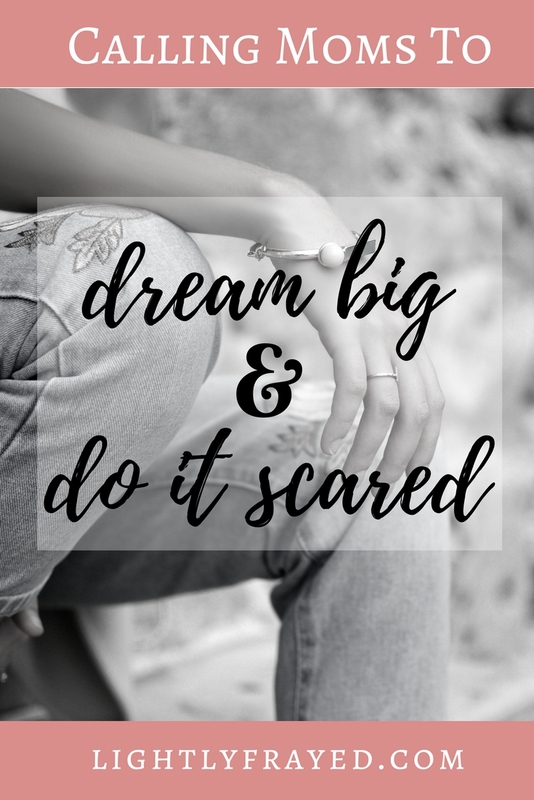 how do we dream big as moms? As I enter a new season of parenting where dreaming feels more possible, here is a story about a recent adventure. 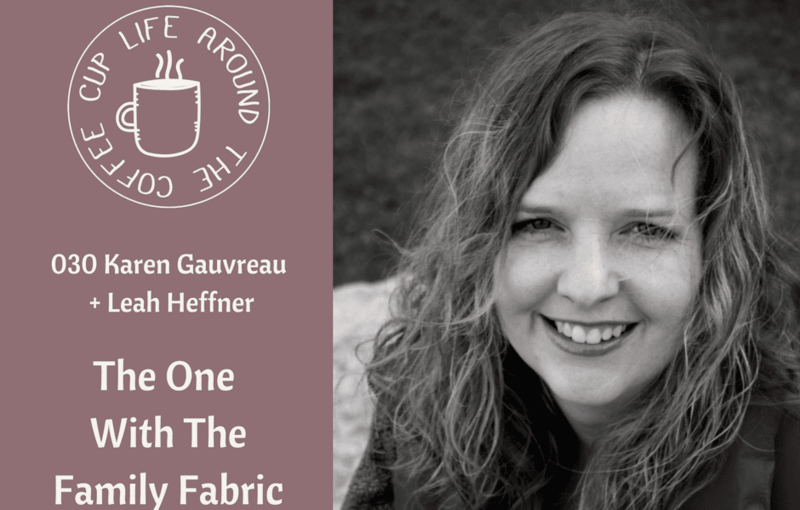 My interview on Leah Heffner’s Podcast <Life Around the Coffee Cup> aired today. Leah is a gracious host and wants to encourage all Moms to find the magic in their mess, no matter what stage we are in. What you don’t know is the back story. Leah posted an opening for guests to be interviewed on her podcast, so I peeked around her site. 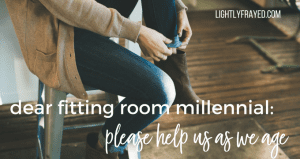 She has interviewed many amazing women including Sheila Wray Gregoire (popular author and speaker) Jamie Ivey (author of If You Only Knew) and Jennifer Smith (author of the Unveiled Wife). And women who are leading and serving in unconventional ways too. I almost passed it up, feeling quite unqualified. But Leah’s theme is to find magic in our mess, which is a specialty over here at Lightly Frayed, so I pushed myself to try. Sometimes you have to tiptope into an opening. Sometimes you have to do it scared. Refusing the luxury of second guessing, I quickly booked a time on her calendar and pressed send. A confirmation of this epic bravery flew into my inbox. If I had assumed my 10:30 morning slot weeks later was for Leah to see if I was interviewable (is that even a word? ), I would have been wrong. Between stomach flu invasions, and the craziness that comes from parenting eight kids between us, Coffee Cup and Lightly Frayed didn’t actually connect until much, much later. As in the night before the podcast. I received a sweet email confirming our interview the next morning. Our real actual interview. Leah was taking her chances and not even screening this Mama (brave move, Leah). Thankfully it was a rare night and the teenagers were asleep before me. I sat at our peaceful dining room table, prayed, reflected and scribbled ponderings. This may not seem like a brave step to some, but this was my first ever podcast. From someone who hasn’t even posted Live on Facebook, it was fairly epic. To top it off, I had a midnight realization that the sound quality would be terrible since I didn’t own a microphone of any sort. I decided to tackle the tech issue in the morning but purposed to dream first. Literally. Thanks to an early morning shoutout, I was advised to buy a gaming headset. I managed to find one last set at a store five minutes from my house. A store that opened at 10:00, a leisurely half an hour before the intereview. Flying into The Source, I looked like the most unlikely gaming addict. Mom clothes. Bedhead. Driver of a minivan. Yep. Mama bought herself some gear. Now I’m legit. If this podcast thing doesn’t work out, at least I can be a gamer. I flew home and jotted down a few more ideas. I hadn’t showered so I prayed it wasn’t a visual podcast too? (videocast? see – I don’t even know the words). I considered taping over my camera. Clicked on a Zoom link and…action! Of course the doorbell rang as soon as we started recording. People – MY DOORBELL NEVER RINGS. Ever. Pretty sure my neighbour thought something sketchy was happening because I cracked open the door and whispered softly, “It’s. Not. A. Good. Time.” Who even says that? I’ll tell you who. People who do drug deals or all manners of sketchiness. I looked entirely flustered and guilty of some horrible thing. Note to self: follow up with neighbour. Leah was amazing to chat with. It really was like having coffee with a friend. The kind you meet 12 seconds before your entire conversation is recorded then aired. She is comfortable and insightful and so we talked. And talked. Apparently we recorded for a solid 80 minutes, what was supposed to be a 20 minute podcast. Oops! I was surprised by how nervous I was. I’m a teacher. I should know how to speak out loud words to people. But my heart was pounding until we started recording. I was certain I laughed too much (I did) and said ‘ummmm’ a lot (I didn’t – yay!). Well. Today the podcast went live. And it’s not horrible. My gaming headset worked marvellously. Leah edited out the doorbell and just the right amount of rambling in the midsection. She wove a thread of truth that tied it all together. Leah Heffner is an editing genius. My prayer is that there is something of value that you needed to hear today. 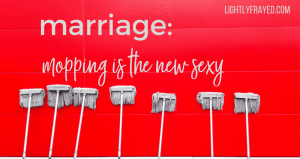 A little nugget of encouragement about living frugally as a family, raising entrepreneurs and serving in the mess of our lives. If nothing else, you’ll want to get your hands on a Value Village coupon. So talk to me after – I’ll teach you the ways. There are stages in our lives where we may be too weary to dream. I have been there for months at a time. If you are entering a season of possibilities with a nudge to be brave, I’d love you to join Lightly Frayed. Enter your email in the form below. We can cheer each other on. Or possibly compete in a late-night game after the kids are in bed. Chances are, you’re already a Mom, which is the bravest thing any human could become. So there’s that. I loved it too. I’ll be recommending you wildly. Love what you have going on at Life Around the Coffee Cup – and I don’t even drink coffee. Thanks for taking a chance on this crazy Mama!